Tina's Crop Shop: SIP Challenge #59 - Funny! 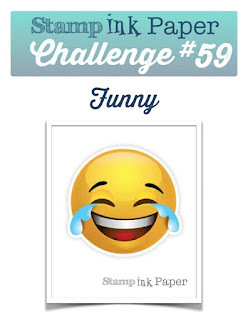 SIP Challenge #59 - Funny! 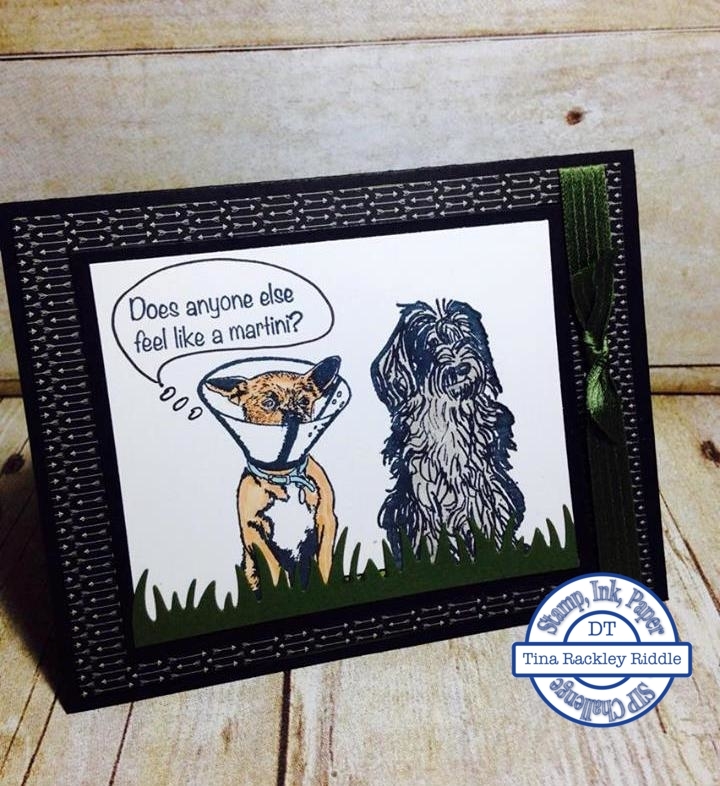 So there were two different sentiments that went with the image of the dog with the cone on it's head. I let my hubby pick and he thought this was the funniest but the other one is super funny too. It is "It's all fun & games until someone ends up in a cone!". Which is your favorite? The grassy border die is from Lawn Fawn. I tried using my copics to ground the dogs but I wasn't happy with how it looked so I added the grassy border. Hey dogs with cones on their head still have to go outside, right?? the grassy border was cut out with Mossy Meadow so I used a Mossy Meadow Stitched Ribbon on the side as well. Oh my gosh! I don't feel like a martini, but I sure as heck can use one right about now. His eyes say it all..hahahahahaha. Your talent is unmatchable and I'm so glad to be surrounded by such talent on the SIP team. SIP Challenge #61 Tic-Tac-Toe from Lisa! ICS Blog Hop - Fabulous Framelits!